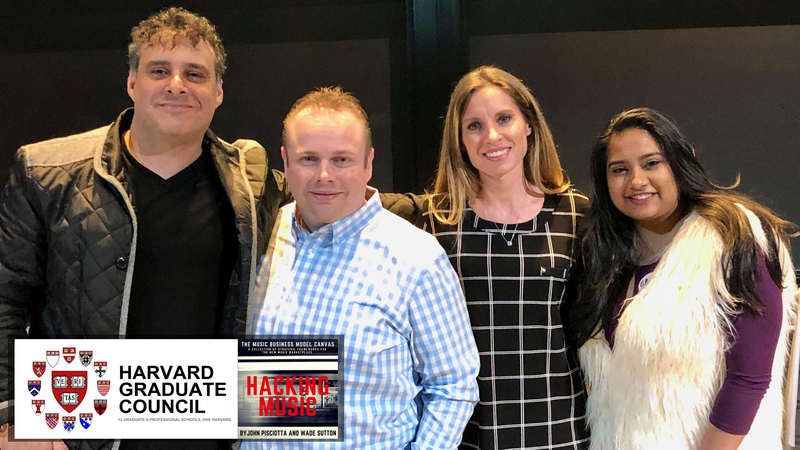 (CAMBRIDGE) Harvard University in Cambridge, Massachusetts served as host of the first annual Music Entrepreneur Conference on April 7-8, 2018…and could not have been a more appropriate location for the launch of the upcoming book Hacking Music: The Music Business Model Canvas. A collaborative project for co-authors Wade Sutton and John Pisciotta, the book seeks to arm both aspiring and existing music artists with the tools to make their musical passions into a successful business. Event organizers Jalen James Acosta and Rachel Lynn Karry – both also co-founders of World Artists United – assembled a wide array of presenters for debut event, reflecting all aspects of the evolving music industry including music development, branding, fashion, and business management. Other presenters sharing the stage with Sutton and PIsciotta included the following: Rodney “Darkchild Jerkins, a Grammy-award winning record producer and songwriter for hits including “Say My Name” by Destiny’s Child, “Rock My World” by Michael Jackson, “If You Had My Love” by Jennifer Lopez and the current supervising music producer for hit FOX television series Empire; Kerry Gordy, a leading music executive and son of Motown founder Berry Gorder as well as a former manager of Prince and former vice-president of Paisley Park; and Bernt Ullman, the branding expert behind fashion brands for stars including Jennifer Lopez and Adam Levine of Maroon 5 and a partner of fashion moguls Daymond Johns (FUBU) and Tommy Hilfiger. 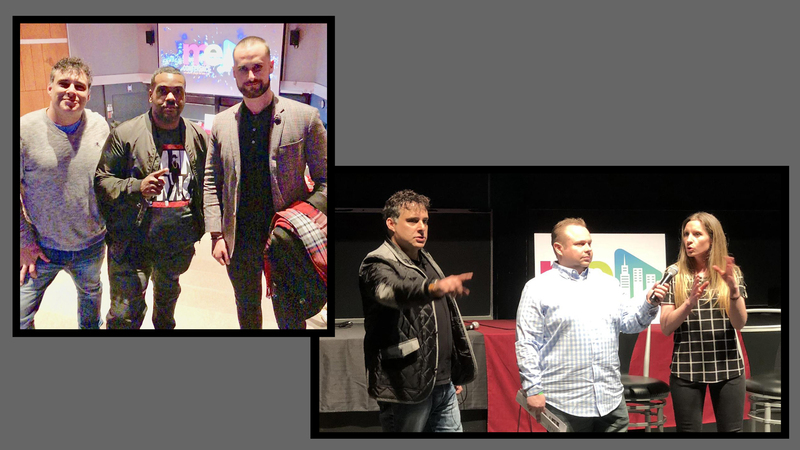 Special thanks from Jetpack Artist Ventures to all the organizers of the Music Entrepreneur Conference and especially Rachel Lynn Carry for their invitation; job well done, everybody! Rodney “Darkchild” Jerkins – Grammy-Award winning record producer, songwriter and rapper. (“Say My Name” by Destiny’s Child, “Rock My World” by Michael Jackson, “If You Had My Love” by Jennifer Lopez and other collaborations with Lady Gaga, Britney Spears, Rihanna and others. Supervising music producer for hit FOX television series Empire. Jalen James Acosta and Rachel Lynn Karry – cofounders of World Artists United and organizers for the first annual Music Entrepreneur Conference held April 7-8 at Harvard University in Cambridge, Massachusetts. It was an honor to launch the Hacking Music book at the event all guests went home with a copy of the book initial spoke on the ARTIST AS HACKER section notable of treating music career as a business as opposed to just “writing more songs” as the pivotal act of developing a career.